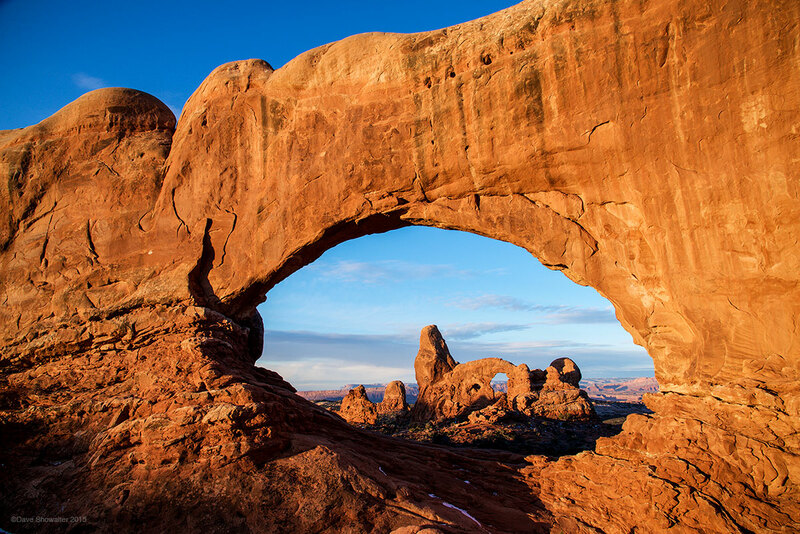 Otherworldly Arches National Park, near Moab, Utah is home to over 2,000 natural stone arches, each carved by forces of wind and erosion, freeze and thaw over millennia. New arches are being formed today in this dynamic landscape. Here, Turret Arch is seen through North Window at sunrise. Photo © copyright by Dave Showalter.